After you start planning your routes, pretty soon you’ll end up with hundreds or even thousands of stops and notes. Without a search feature, it’ll be just about impossible to sift through all this information and find what you need to operate efficiently. 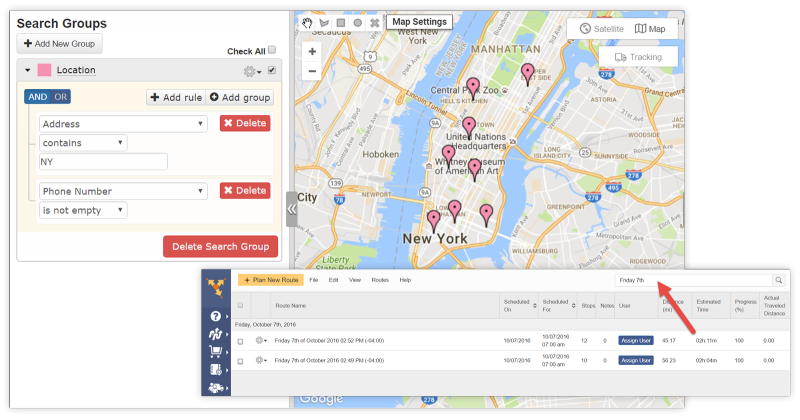 Route4Me's real-time search engine allows you to find any route, route stop, note, attachment, sound upload, or chat message instantly. Real-time search is critical for when customers call to learn about the status of a visit. It’s also helpful for when you want to track the performance of a specific person on your team.